Definition: To isolate (one system, process, department, etc.) from others. HOW DOES THAT RELATE TO SEO...?? Search engines love websites that allow them to easily identify content. Websites with unorganized content make it difficult to understand what the page is about - that means you can’t rank for your target keywords. By “siloing” your website, aka creating precise content groupings and link signals, you can easily clarify the message you are trying to send to search engines. This infographic demonstrats exactly how to create a proper organizational and internal link silo. How Should You Sctructure Your Website’s Content? This is best explained by Bruce Clay (SEO expert) with his jar of marbles example. By moving your content into jars seperated by classification, you clear up relevancy with search engines. With organized silos you can have content about numerous topics and still rank for each of them. How Should You Link Between Your Website’s Content? Links are what search engine spiders use to crawl from one web page to another. Generating links to your website is a great way to add trust, authority and ranking power with search engines (aka link building, link earning). Though much debated, there is no single right way to link your content - here are some of our favorite methods. Google is getting better at picking up webspam and link schemes. To be safe from Penguin penalties, the majority of inbound links should point at content like blog posts, infographics, etc. (think about it - why the HELL would anyone ever link to your PPC services page unless you paid them to?). The problem is, these generally aren’t the pages you’re trying to rank. That’s why we use internal links - to distribute the power of your inbound links. To get started with this method, head to Google Webmaster Tools (GWT) and navigate to Search Traffic > Links to Your Site. Download the file to Excel and filter the results to find your most linked to content. Identify the pages on your site with the most inbound links. When building links to your website, you need to be careful not to over optimize your anchor text and trigger a penatly. When linking between your pages, you can be aggressive with your anchor text and use exact match keyword phrases. Internal links pass link juice. Therefore we can use pages with high inbound links to distribute that ranking power to other pages. 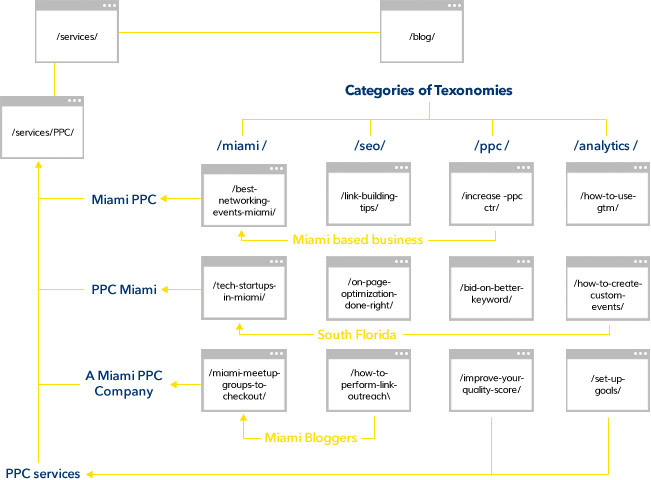 This is a method requires a blog with taxonomies (aka categories in WordPress) and works great for ranking local pages. 2. Create great content for each category - make content hyper specific to that category. 3. 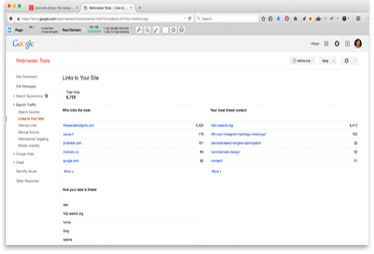 Link category posts together using anchor texts related to your keywords. 4. Link category posts to target page with exact match anchor texts (don’t overuse them). Bonus Tip: If you’re trying to rank for local terms, build links from local websites. For example, create web 2.0 blogs (miamibusinessreviews.wordpress.com), Pinterest links (use Geo located feature) and YouTube videos (use Geo located feature) and link them to your category posts. This method creates a circular silo of blog posts around a silo page. This silo of blogs posts links directly to your silo page, creating massive relevancy signals to search engines. 1. 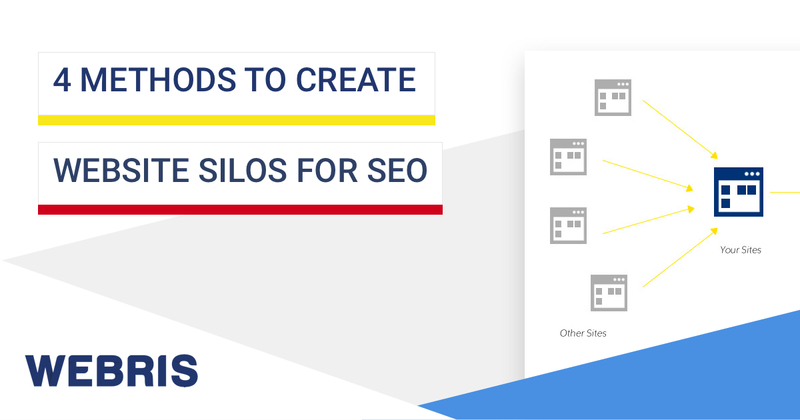 Create at least 4 blog posts about a singular topic related to your target silo page. 2. Every blog post must link to another blog post within the content silo. 3. Every blog post must link back to the silo page. 4. Blog posts should only link to one silo page. 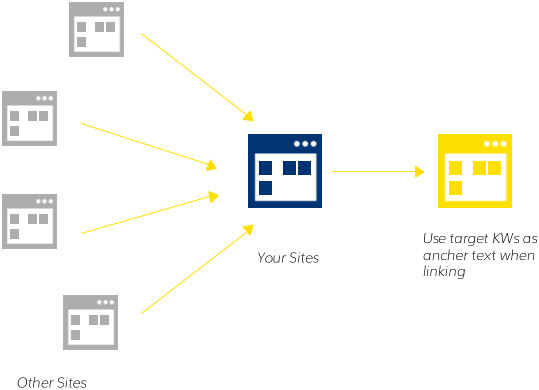 Linking to additional silo pages breaks the circle of relevancy. 5. Duplicate this for every silo page you would like to rank. >When in doubt - model your internal linking structure like Wikipedia. Link together anything that is related! I’ve heard a lot about Silos and Silo structuring, but no one ever really took the time to break it down in a way that I can understand. I’m getting it now. I will re-read this post to make sure it soaks in. Sounds detailed. If I hire your company to do this service for me, how much would it cost? depends on the size of your site. you can contact us directly and get a quote from my sales lead. I see there’s a deep science behind all this SEO stuff. I’ve always heard about silos but always really just ignored the importance of it. This is worth implementing, thanks. A pleasure reading your posts, Ryan! I have a question again and please don’t edit my comment this time. For the Circle Silo we see on the graph that there are links pointing from the silo page to the blogposts. I don’t see any logic behind this. The links should be only one-way – from the blog to the silo page. For the Circular Silo, does the Silo Page need to link back to all the blog posts linking to it? the silo page doesn’t have to link back to the posts linking to it. think of it this way – the links should always flow towards the page you’re trying to rank. This article is very useful for those of you who have been in the world of SEO. The Ryan way of making Silo is very remarkable. You make a good point when you say “why the hell would would hundreds of sites link to your PPC page unless you paid them” lol…and to think it’s some dummies…or to say it nicely, amateurs trying to pull this stunt! Excellent tips to optimize SEO. Silo makes the web becomes more structured. So you would say wordpress if the best for this siloing? Any other platforms you’d recommend as well? I think I’m finally getting this. I have read this post a couple time before things started to really sink in. Never knew how important silos were until now. Ok now I’m seeing how to construct category, sub-pages and supporting pages together. I use WP so I understand this should make things even easier for silo. I really love your post, I will build a niche website which has silo model. For me, silo model is new, I will try this. Is silo model good for niche website ? I have a number of sites ranking strongly, though not WordPress. I am seeking to improve their ranking. Will silo work with Jimdo sites? Thanks for this post Ryan, you’ve been killing the content lately. A couple people asked about the linking on the circle silo and I wanted to add some clarification. Correct me if you think differently. You suggest to link from the main silo page to the internal blog posts. It’s not required, but otherwise there will be no channel for Google to spider to the posts unless you link to them from other pages on the web. It can also look strange to have posts that have no way for anyone to find them through your site structure, so having links to them from the main silo page makes sense. Also, in agreement with what you said about the blog posts only linking to one silo, it’s best to remove your main navigation from the blog posts and potentially use something like a sidebar navigation that allows you only to go to the next post in the silo, or back to the main silo page. Please Will you send me detail that how to make my web development website in using Silo Method. I want to use WordPress CMS to built my website. Focus on URL Structures – Any referral Website that following Silo. I’m Waiting. I really appreciate this post. 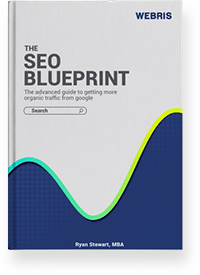 It reveals important factors to be considered by SEO analysts and marketing managers. Thank you for your opinion and knowledge. Well great information regarding silo structure but i want to ask that can we create silo structure using wordpress and drupal, and which will be best for the job. Really a very informative post I went through now. I have to say that “Ryan” might the new “Rand Fishkin”. But still I’m a bit confused over the Method no.2 and Method no.3, as both are similar ones. In Method no.2 you need to create categories with each having a single posting linking back to silo page and also other posts having similar content in other categories. Where as, in the method no.3 you said the same thing but without making new category pages in Blog section. I like this prepared illustrator.. make me learn how to create silo website..like i do at mine. Great post ! But have a question. What about menu links, footer links, links in sidebars linking the page to content out of the silo ? What If I wanted to rank in 3 different cities for the same 4 services. Would you list the 4 services, then create landing pages of reach city in blog, or would you create a child page to the silo page. Basically what if you wanted to have 4 services, but want to rank in multiple towns. James…. I to have the same question about how to go about Multi City Silo Structure. However If each location is its own silo then it seems it would have to be listed in the Nav Menu and that doesn’t seem right to me, How else would it be crawled by bots. Then I thought maybe I should cross link the Local Silo off from the Original Key Word Silo as if it were a Key Word Silo Directory of sorts. Example 1: Garage Door Repair—–> Garage Door Repair (City) … So on and so forth so each (City) based Silo is branching off form the original key word Silo. Have you had any other findings on the best Multi Location Silo Structure? In method 3, can we use categories? In method 3, if we have 40+ posts about the silo page, we should link them all ? Great post, will try all of it getting better ranking for my site. i havent updated this in about 18 months – thanks for pitching in tho! more of a question on the point 4 of the circle silo? 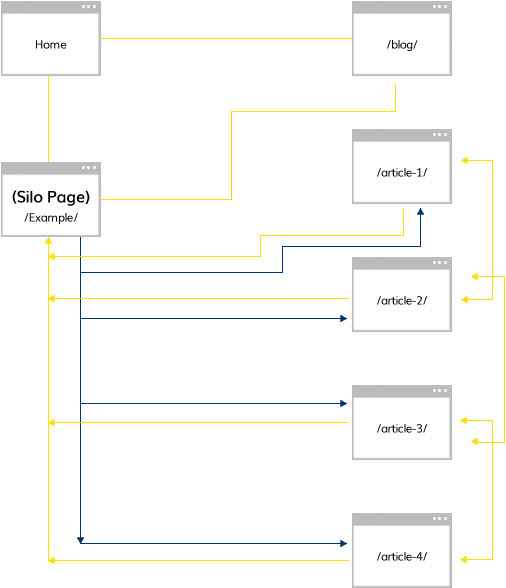 would you recommend to remove internal links (or make them nofollow) to make a sitemap looking more like a silo architecture? Links between silos? Links from top to down? Typically, the link in the header main menu to homepage breaks the silo concept. I’ve a doubt regarding reverse silo. What is that ? Please if you can explain that one. Is it possible to set up a silo on an existing site, with say, 100 posts? Can you create silos retroactively? In WordPress if there are no categories for pages than I am guessing it is best to use a page that gives an overview of silo content and then have content under it. My question is when I have a sub-menu page under the main category/overview page, when I click on it, the url looks like: mydomain.com/secondary-page instead of mydomain.com/overview-page/secondary-page which makes me think its not in the same physical directory. How do I get secondary pages in same directory under overview-page in WordPress? This is very good post! We will be implementing a SEO silo on our new website, which will hopefully boost our rankings significantly. 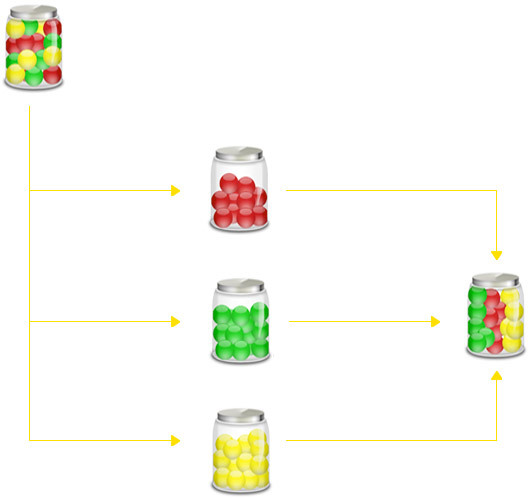 Hi, thank you for your post about silo structuring. What would you recommend? In my project, there are a lot of different cities in almost all continents with up to 200 different products and up to 100 general services/specifications appearing in one city only but with various services/specification combinations. This is really a great insightful guide about site structuring and silo, I am googling last couple of days and finaly find this. They sell vape pens. I implemented a silo structure, its only about a 20 page site,but the client doesn’t like the links on the pages. Is there anyway I can use a colour that will match the background for the text colour, and should this be done. no, def not – that’s a form of link spam / keyword stuffing. you need to sit your client down and tell them this is the way it needs to be, they’re paying you for your expertise – they need to respect it. Awesome Post – Your YOUTUBE videos are also now on my favorites list! Great content. Seriously, I have read so many sites on silo structures and yours is the only one I fully understand and felt compelled to leave a comment thanking you. Time to restructure my site! The question I have is do I need to link to all these a,b,c category content pages from my silo page? I’m not sure if a silo page is meant to be like some sort of main directory referencing all these other strategies I have or can it be a simple page with as few outbound links as possible. I assume a silo page has to be like some sort of cornerstone page? But I have a question. What if i have a target page that alone does not worth creating a category for. How can I create a silo for this particular page/keyword? for example – How to fix a overheating grill? It is okay to create a category for grill but the topic above does not looks to be a category topic itself. Do, the categories need to be in menubar? or not including the category in the menubar will do? Here’s the thing I don’t understand – what’s the difference between categories and SILO pages? I’ve read several articles on SILOS and in my mind SILOS are basically categories. In the article, part “HOW TO ORGANIZE YOUR WEBSITE’S CONTENT” assumes blog has categories, but most websites have categories globally, not just on blog. And the image in that section to me really looks just as a regular category structure. I’m obviously missing something from the technical aspect of SILO here. THey’re similar (or synonomous) depending on who you ask. Look, the point here is not to over complicate things. Simply lay out your site and content in a structure that relates together. @RYAN STEWART I see… Laying out my site in a way that content and structure relates together was actually the first thing I learned when I started tinkering with websites, o naturally I asumed SILOS are something much more complicated. Hey bro! I’ve got a few questions here….if you don’t mind and you have the time to reply! So, do you think that, e.g., an SEO-EFFECTIVE circular silo can be achieved using the prev/next page links approach, e.g., in local SEO, to connect and pass link juice across all service pages of a local business’ website – all of which are “related” content, right? Why does Neil Patel say that internal linking to the homepage or contact page from inner/deeper pages is not a good idea for SEO? Do we generally not want to pass link juice back to the homepage or contact page from siloed pages? And I always have a section at the bottom of each of the client’s service pages saying “Contact us for a free estimate.” (contact us being linked to contact page) If I follow Neil’s advice here, then how could I allow for a user-friendly experience (while maintaining good SEO) to direct the user to the contact page in this case – without a link to the contact page there? Thanks so much for all your time!! I posted some questions here, did they get through? They were pretty important to me. Hope you can find them and have some time to reply. Would be great. 1) Can a circular silo architecture be easily achieved and automated by simply applying “Prev” and “Next” page links on each site inner page? For example, in local SEO, having all “Services” subpages linked to one another via Prev and Next page links, and, let’s say, with the first page being linked to the About page via its “Prev” link, which occurs before the Services main menu item and the last page being linked to the contact page, which occurs after the Services main menu item. 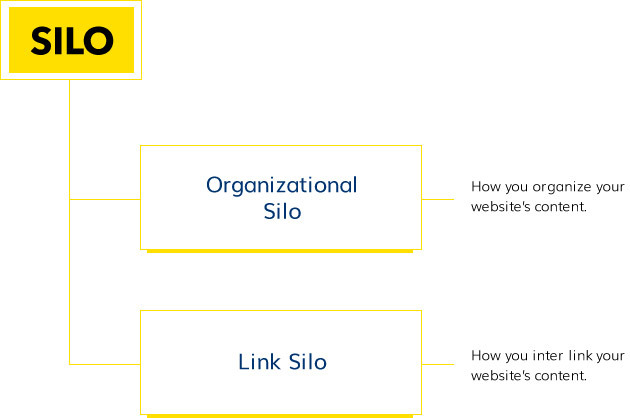 And is it ok for SEO to have a ‘two-way’ / bi-directional silo, such as in this case? 2) Why do you suggest not having links to the contact us page at the bottom of each page? E.g., on all service subpages, saying something like “Call or email us for a free estimate!” I think I understand how linking to the contact page from inner pages would ‘break’ the silo and dissolve the PR of that inner page by passing link juice to the contact page, but how could I direct visitors to the contact page in this case, without linking to it? Page anchoring to the main menu from the “call or email us” text? For now, I just made “Call or email us” in bold instead of linking it. 3) External/outbound links: On almost every inner specific service page on my site, I have a few relevant external links to high DA sites, such as to Wikipedia articles and Home and Garden television’s website. Is it better for (local) SEO to pass link juice to these high DA sites via a few links on each service page, or better not to link to them in order to preserve more PR for those pages? 4) Do you think it will help local SEO by applying a service called “WIKI Ranker”, i.e., getting drip-fed backlinks from “high DA Wiki sites”? What is this all about anyway, from the looks of it (if you can understand what it is offering)? THANK YOU SO MUCH FOR ALL OF YOUR TIME AND HELP!! I LOOK UP TO PEOPLE LIKE YOU AND WATCH YOUR VIDEOS ON YOUTUBE!! GOOO SEO! HOPEFULLY ONE DAY SOON I CAN BREAK FREE FROM MY 9-5 CHAINS AND SLAVERY TO SOMEONE ELSE’S BRAND! Link building is actually a very important practice when it comes to On-Page SEO, most of the times this is also underestimated. 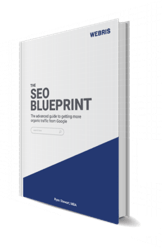 Building backlinks for your promoted post, for instance, is a very difficult task, therefore is not easy to get this pages to rank well on SERPs. That’s when internal link building really helps a lot because you can pass link juice from a blog post with many backlinks to other ones with not so many. This is one of the things that caused me more trouble when I started my blogging journey, but we always have this type of articles to save the day.